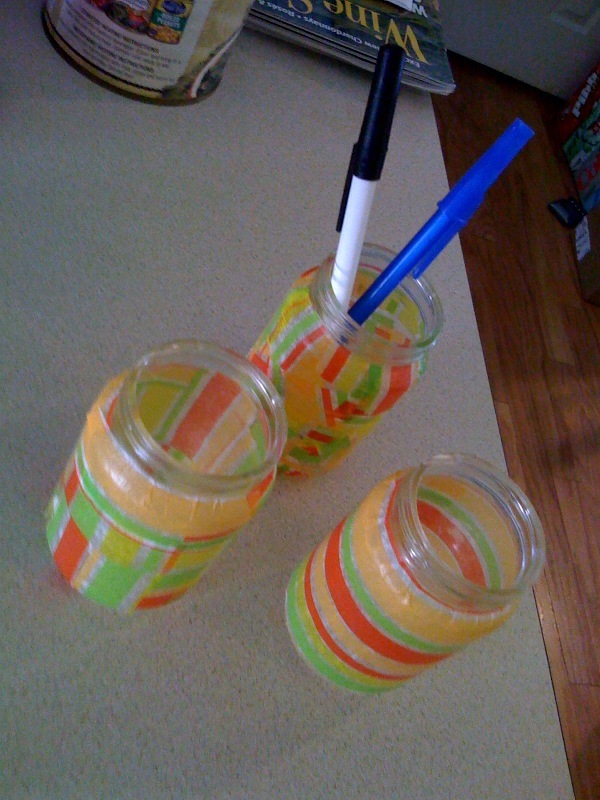 Yesterday afternoon I was feeling slightly more motivated than usual and decided to upcycle some baby food jars. 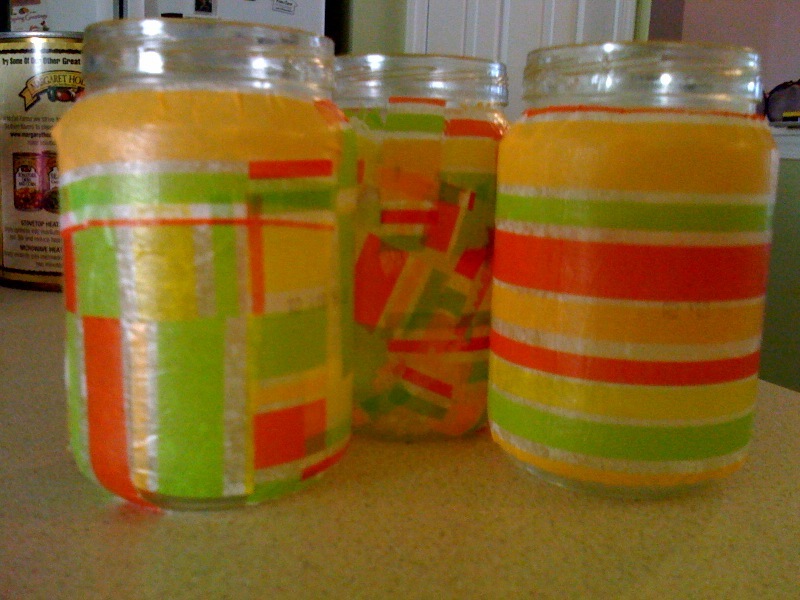 Upcycling is a type of recycling that consists of turning something disposable (like used baby food jars) into something of higher value. I'm a huge fan of recycling and keeping the world a greener place, so most of our jars end up at the local recycling center, but baby food jars can be used for so many things! Yesterday I decided to upcycle and repurpose a few. 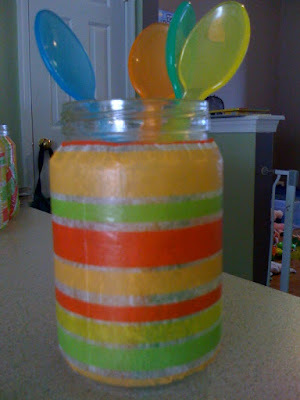 Here's a fun and super easy project that can be done in minutes with a few simple items. A great project to do with kids, too! 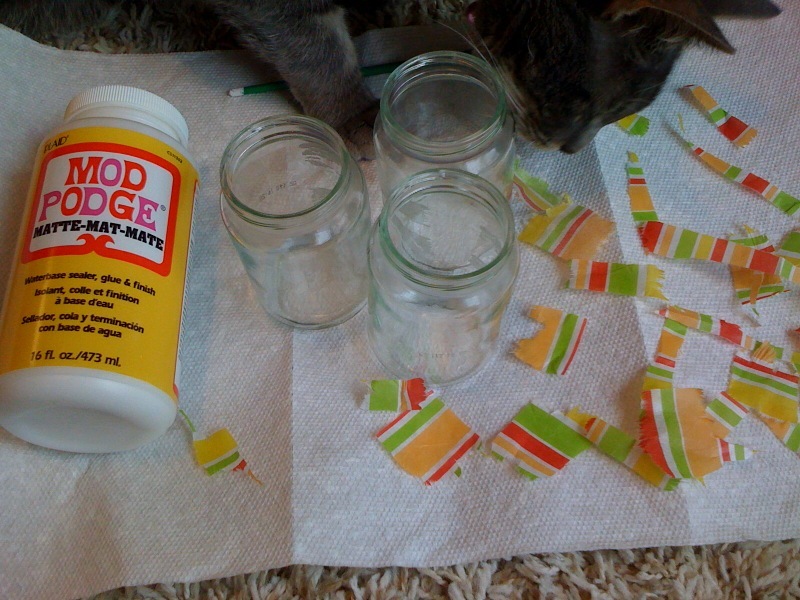 Mod Podge = the world's greatest all-in-one crafting glue. This stuff is genius and can be used for almost anything. The term "Mod Podge" stands for "Modern Decoupage" and this item should be an item on every crafter's list. I have used it on everything from wooden decoupage to sealing fully finished puzzles to be framed. 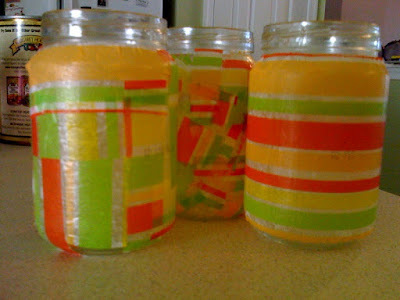 A good sized jar retails for about $6-$8 and can be found most craft stores like Michael's. Baby food jars. Any jar will work really, depending on what size you like! A single piece of tissue paper. Any tissue paper will work. You can cut clean lines or, as I prefer, just rip random pieces and use whatever abstract pieces you come up with. Basically all you do is paint some Mod Podge on the jar, lay down your tissue, and paint some Mod Podge over top! It's not rocket science so I can hardly take credit for this project. Here are how mine turned out. Great for pens, pencils, spoons, buttons, paper clips, anything you want! Keep the lids and create a bank for your child, or fill with beans to create a musical shaker. These look neat! Great job, love the colors.